Hi loves! How are you today? Ready to kick off the weekend? I know I am! Today I got a polish for you that was sent to me by the lovely Angie. I really really like this girl and I really like this polish too! Sonia Kashuk is a new brand for me, this doesn't seem to be available anywhere else than Target. 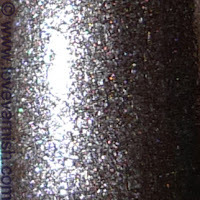 This polish is a dark brown color filled with silver shimmer. If this dried matte it could fit right in with the other OPI Suede's! It applied easy, 2 coats and I was done :). 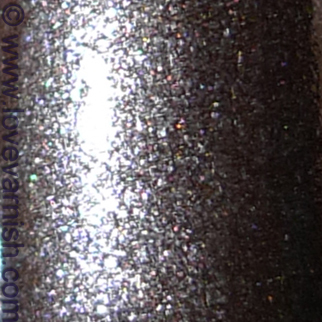 It's shown here without topcoat as I used it as a base for another polish. Do you like this color? And what is your favorite brown polish? I love Sonia Kashuk bu never tried their polishes. Love it! I LU-OVE this color! Looks great on you, and I'm glad you like it! If they are all that great as this one you should! Really lovely polish! I think brown is somehow underrated colour, but it can look so gorgeous on nails! I love such creamy brown-greyish colours, but this shimmery one is soo pretty. I need to look for some similar around here. Thanks Niky! Yes brown isn't very common in polish though it can look so beautiful!